Visme is an online design solution that enables users to create, share, and publish visual stories in the form of engaging presentations, infographics, and other content. It features tools that can bring content pieces to life through object animation and pop-ups, as well as the addition of links to websites and social networks. In this article, we cover user reviews and pricing. Ready to get started with Visme? Sign up for their free plan. Users who gave Visme a positive review said that they love using the software given its ease of use. They also like its expansive template library, a collection of customizable graphs, and other resources. Users who gave Visme a negative review complained about experiencing system glitches and bugs, such as text box problems, layout alignment errors, and design quality changes when files are exported. Visme has three subscription options, each with three plans: Individual (ranges from $0 to $39/month), Business (starts at $39/month), and Education (starts at $30/semester). Users who subscribe to annual Individual and Business plans, paid in lump sum, get discounted rates. The main differences between the plans are the number of projects, storage limits, and more. Ready to get started with Visme? Sign up for their free plan. Best Logo Design Software — Read our buyer’s guide for a comparison of the top three logo design software for businesses. We compared Tailor Brands vs. Logo Garden vs. Withoomph to give you an idea of which design software will work best for your business’ logo needs. What is included in the free plan for individuals? Their Basic plan allows users to create five projects per month and includes a 100MB storage, as well as limited access to templates, charts, and infographics. Additionally, users can download their projects in JPG file formats and set their published projects to “public,” which means everyone can see it. Can users remove the Visme logo from their projects? 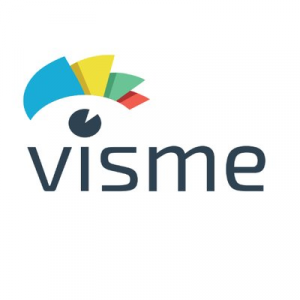 By default, the projects of users who signed up for the free individual plan will always have the Visme logo. However, they can remove it by upgrading their subscription into a paid plan. Not sure if Visme is the right fit for you? Read our reviews of all top design software providers. It helps me and my team create and organize graphics for our customers. It is very easy to create color palettes and brand content for each client. We also use it to reuse the content of our blog in Infographics and Slides to use in Linkedin SlideShare. Visme has just come out of the beta version, and at its price point I do not think I can expect all the bells and whistles. That said, things like the integration to Marketo for the management of potential clients and more robust animation controls would be a great benefit. It would be nice to have a more complete library with more icons and photos. The library should be much better with icons, emojis, photos and scribbles, since it is a really good tool and it is a problem to have to import more elements. 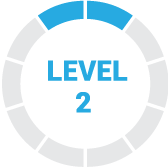 For marketers, this is one of the easiest tools on the market to quickly design banners, ads and power points. Instead of paying thousands of dollars for other people to design for you and deal with the pain of iterations, Visme will save you the day. The alignment needs to be improved … For detail-oriented people like me, this is driving me crazy. Sometimes I have to calculate the space between each element so that they are proportionally aligned. Initially, I was skeptical about paying for Visme when many websites sold Powerpoint, Keynote and Infographic templates. After enrolling in Visme, I learned how to create attractive presentations for me and my friends that are noticed. I love using Visme because it has different templates and fonts to choose from and it also helps you with the creative process. The control panel is very easy to use. Sometimes there are restrictions on the formats in which images can be created and exported. It often has errors, especially when it comes to text. Its ease of design of infographics and brochures saved me a lot of time, I love Visme because it has almost everything I need in one place. I definitely recommend it. After showing us that it is an application with an intuitive interface, it has been able to convince us to use it daily and for almost everything that we need in the company. It is a bit problematic but only in a few moments, in addition to this, there is nothing else that we consider to be a dislike for us or a disadvantage. Many colleagues had already recommended Visme, now that we use it, we have realized that their recommendations were good and there is nothing that we would have liked to know before because it is a good program. I dislike the glitches and weird work arounds. Maybe because it’s still beta but I notice a lot of spacing issues or text box problems whenever i’m trying to move things. Wish I new it early.